#416 Jasper St. , Maple Creek, SK- SOLD! 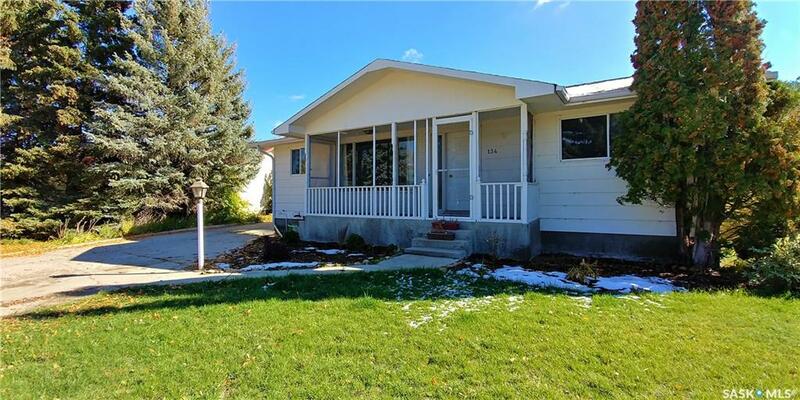 Located in the community of Maple Creek, central to the Cypress Hills Destination area, and only 60 min from Medicine Hat; this solid bungalow is within walking distance to downtown, schools, and recreation. The main floor has a large porch entry with main floor laundry, eat in kitchen with plenty of table room and large living room, all with updated laminate flooring. There are 3 bedrooms and 3 pc bath completing the main floor. The basement has large rec room, games/bar area, bedroom, 3 pc bath and mechanical. There is plenty of room to make a second basement bedroom. There are all new windows in the main floor and the exterior is updated vinyl with xeriscape front and back making for minimal maintenance. There is a fenced back yard and single detached garage. For further information or to arrange to view this solid home please contact the listing Realtor (R) or Brokerage. This 4 bedroom 2 bath home is tidy and move in ready. Located in a quiet crescent in Maple Creek, central to the Cypress Hills Destination Area and 1 hr from Medicine Hat. The front foyer has room for a chair and coat closet. The main living space is well designed with the Kitchen/dining room on the south side of the home allowing for plenty of natural light all through the day. The U shape kitchen has a good set of nicely painted wood cabinets and updated hardware and a full set of appliances, plus a dining area with garden door access to the covered deck and attractive back yard. Large living room has updated laminate flooring. The 2 main floor bedrooms both have good paint and updated flooring. There is a nice size 4 piece bath with updated paint and flooring. The basement has a good size rec room and an additional 2 bedrooms, laundry/mechanical, and plenty of storage. The exterior is updated vinyl siding and brick, plus some updated windows. There is an extra-long single attached garage (no access directly into house) providing good storage area for garden equipment. The Large fenced back yard has mature trees, plenty of perennial plantings and garden area and good fenced yard. The front yard has attractive flower garden, and front drive to the garage as well as good R.V. Parking. For further information, or to arrange a personal viewing of this home please contact the listing agent(s) or Brokerage. 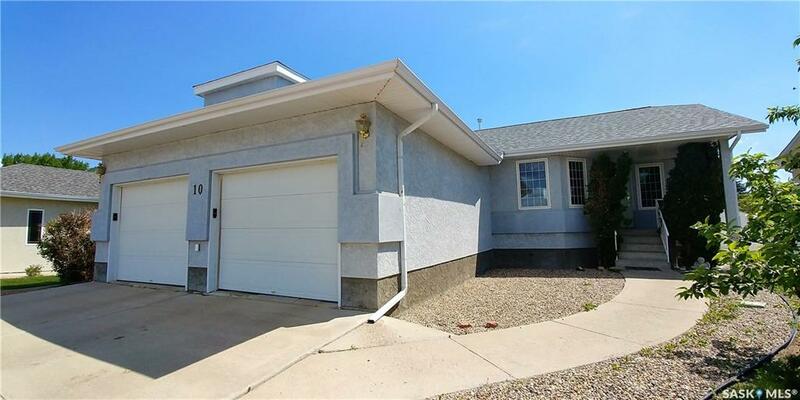 Located in Maple Creek this solid family home is looking for a new family to enjoy. The original home was 1930 but the home was lifted and placed on a new wood basement in 1976 with addition in 1998. The living room has good hard wood floor and is a good size with room for formal dining if you wish and access to both the upstairs and downstairs. There are 2 bedrooms on the main floor, one with 4 pc ensuite and access to office area which could easily be utilized as main floor laundry and/or walk in closet. There is also a 3 pc bath for general use on the main floor. The kitchen has a bay window with good space for dining table and ample kitchen cabinets including pantry and appliances storage. The 2nd level has 2 good size children’s bedrooms. The basement has a rec room, 2 regular size bedrooms and a 3rd with a sliding door to provide privacy between 2 areas. There is a very nices 4 pc bath including jet tub and updated laundry room with access to a full 8X8X8 root cellar. The exterior is updated vinyl siding with added styrofoam insulation and most of the windows have been updated. There is a back deck with wheelchair ramp leading to partly fenced, tidy back yard with patio area. There is double detached garage build in 1997 that has in-floor heat and is divided into 2 area’s by a center wall, with only 1 garage door on the east side. There is a good double c/c drive at the back of the home as well for added parking. 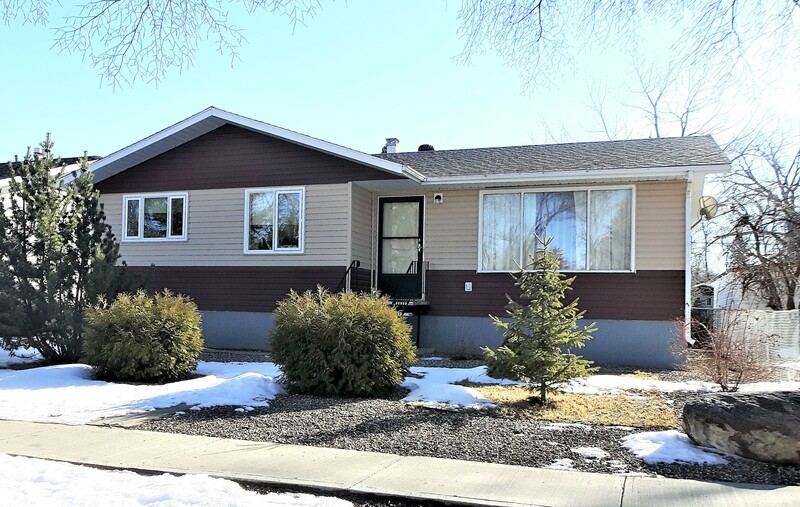 For further information or to arrange your personal viewing of this great family home or any other listed home in Maple Creek, give the listing Agent or Brokerage a call. #426 Ben More St. Cypress Hills, Sk. - SOLD! 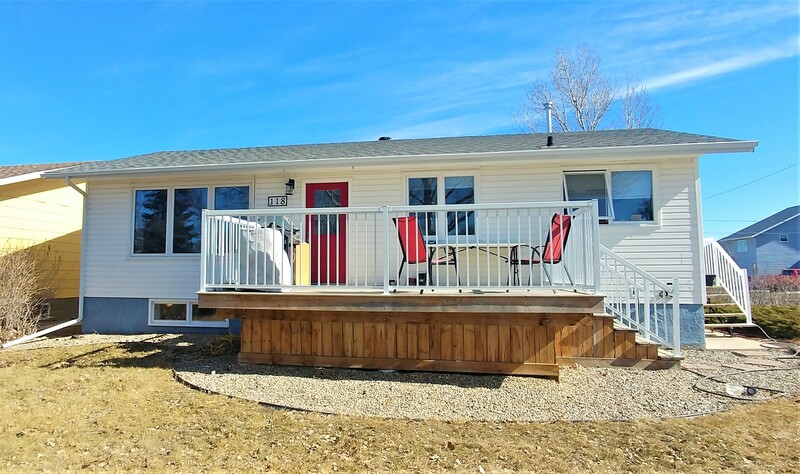 Welcome to #426 Ben More street, located in Cypress Hills Provincial Park, SK, just 20 minutes south of Maple Creek. 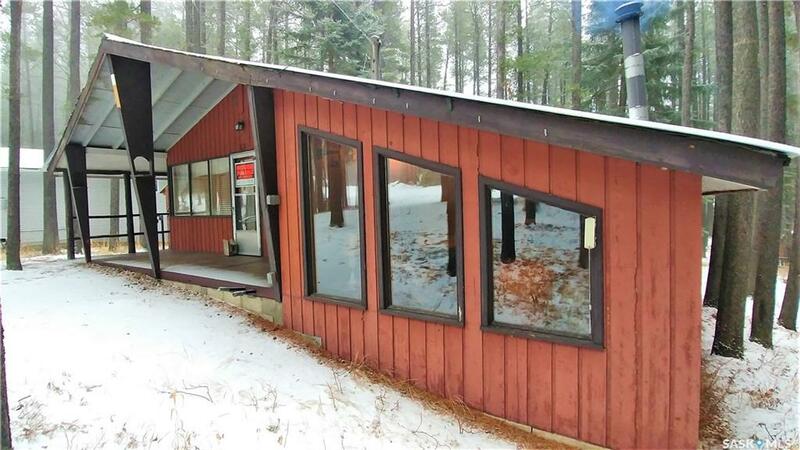 A short walk to the lake and the park core, this 2 bedroom cottage features vaulted living room with wood burning fire place complete with built-in wood storage. The kitchen overlooks the back deck and yard. Dining room has lots of natural light and has plenty of space for entertaining. Master bedroom has large walk in closet and vaulted ceiling. There is a 4 piece bath that completes the cottage. The home is heated with electric heat as well as from the wood fire place. Under the wrap around deck is water tank storage with 400 gallon holding tank. There is a natural gas hook up ran to the property. Lease fees are approx. $1533/year. If you want to enjoy this fantastic investment for your family to make memories this coming summer, dont wait! For more information or to arrange a viewing please contact the listing brokerage. Welcome to #118 Griffin St. 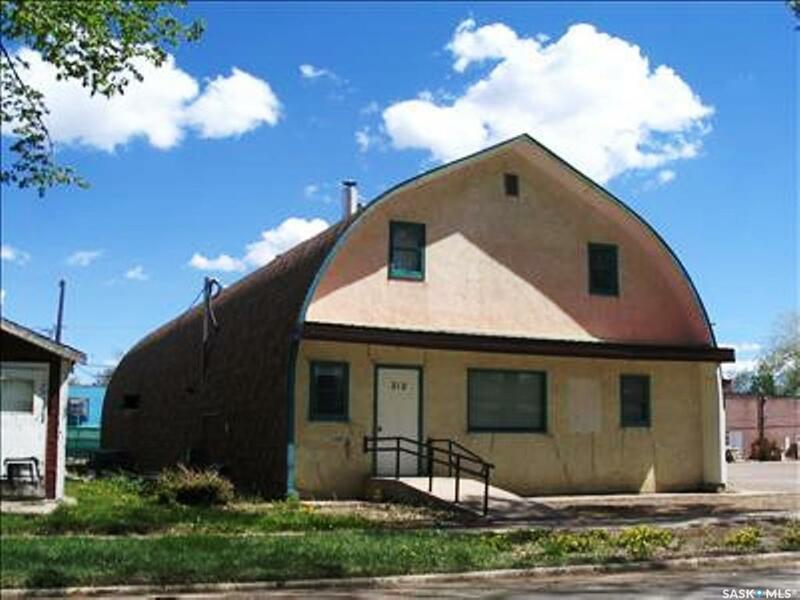 Located on a corner lot in a quiet area of Maple Creek, SK. Just 25 minutes from Cypress Hills Provincial Park. This 3+1 bedroom home features open concept kitchen, dining, living room all with updated flooring and paint. The large front deck is ideal for entertaining with access off the dining room. There are 3 good sized bedrooms and large updated 4 piece bath on the main level. The lower level has good sized rec room, large bedroom, and a fully upgraded 3 piece bath walk-in shower. There is large laundry room as well as an extra storage room that could double as a work shop. The back yard has plenty of shrubs for added privacy as well as a garden area. Dont miss out on this great family home. For more information or to schedule a viewing of this home or any others in Maple Creek please contact the listing Brokerage. Located in the popular community of Maple Creek, 1 hr from Medicine Hat and 20 min. 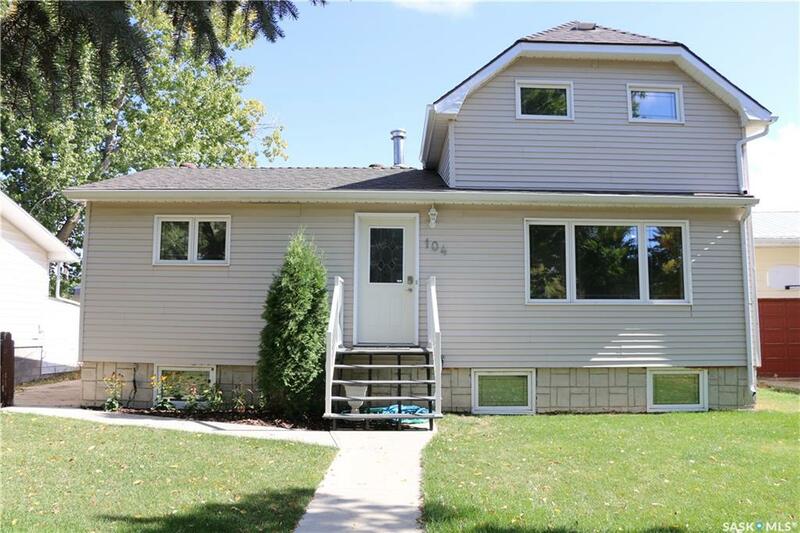 from the Cypress Hills, this large family bungalow is located on a corner lot close to schools and recreation. The home faces south with an open field and a view of the Scenic Cypress Hills. This 5 bedroom family home features many updates over the past 10 years. Interior main floor updates in 2014 include Bamboo flooring, lino & new paint thorough the main floor. The spacious kitchen has ample cabinets; Jenn Air counter top range & garden doors onto the wrap around deck. The formal dining area is adjacent to the kitchen and large living room. Both the dining and living rooms have large windows providing natural light and that great south view. Living room also features gas fireplace to warm those cold winter nights. The master bedroom boasts his/hers closets. The other 2 main floor bedrooms also have great closet space, 3 hall closets plus a main floor laundry with plenty of storage completes the main floor. The basement has separate entry and has 2 bedrooms living room, kitchen, laundry and storage and is presently utilized as a basement suite to help pay your mortgage or provide additional income. If you do not want the rental suite the home works very well as a single family 5 bedroom home; with rec room, summer kitchen, and craft/office/storage area. Additional updates include high quality windows, vinyl siding, shingles, decorative facia & eaves. 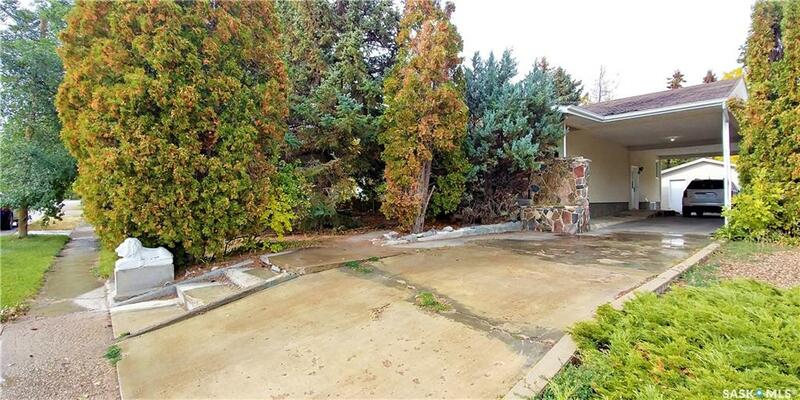 There is a double detached heated garage, ample parking on asphalt driveway or room for RV. For more info or to book a viewing, please contact listing Realtor or Brokerage. #134 Myers Cres, Maple Creek, SK- SOLD! Located in Maple Creek on an extra-large lot, in a quiet crescent close to schools and recreation, this 4 bedroom bungalow has many features for your family. The main floor features a wood fire place in the open concept kitchen/ dining area. The kitchen has plenty of cabinet space and pantry for extra storage. There are garden doors off the dining area to the large 2 tier back deck and yard making this a great home for family and/or entertaining. The ample size living room has access to the covered front porch adding another great space to enjoy. There are 3 main floor bedrooms plus a recently updated 4 pc bath. The main floor laundry is just off the side door and double as a mud room. The basement is fully finished, with an extra-large rec room easily divided into sitting area and games area, bonus area, 3 pc bath, bedroom, storage and mechanical. The front c/c drive leads to the double detached garage that has added work shop space and can be heated. 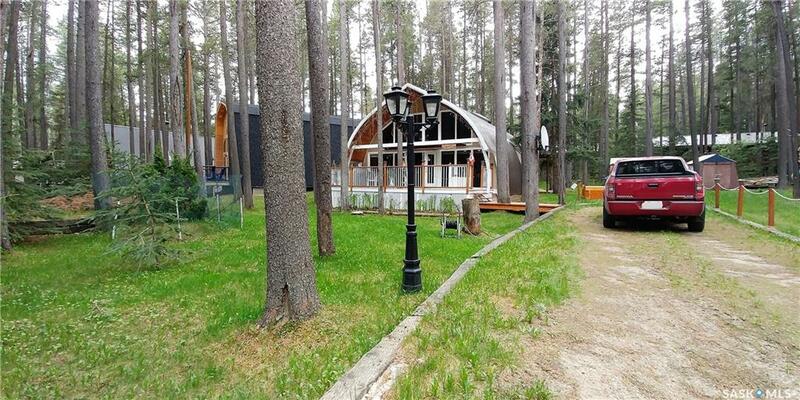 The large private lot is an irregular pie shape and is fully fenced (fence built last 3 years), has mature trees, garden area and plenty of room for parking your RV. Maple Creek is 1 hr from Medicine Hat and 20 minutes from the Cypress Hills. 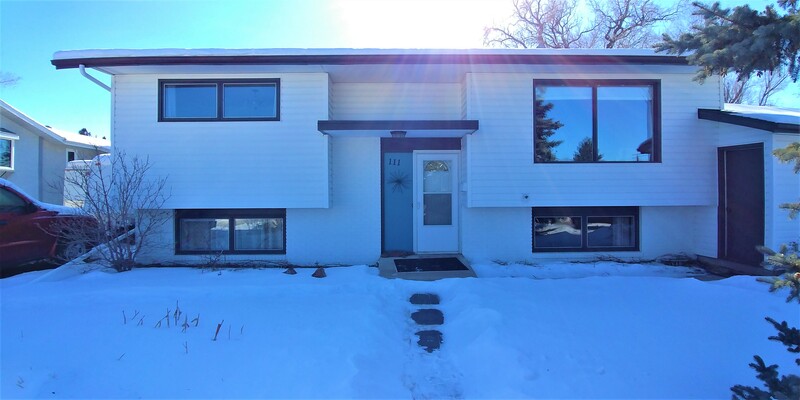 To arrange a viewing or for more information on this great home, Maple Creek or the Cypress Hills Area give one of our Realtors or the Brokerage a call. Great family home located on a quiet cul-de-sac in the popular community of Maple Creek, in the heart of the Cypress Destination Area. This 6 bed, 3 bath home has 1800 sq. ft of living space on 2 levels. The front foyer is a good size with good closet storage and is open to the large living room with vaulted ceiling. The main living space is open design with a spacious kitchen that is well designed and has plenty of quality oak cabinets and walk in pantry. The dining area has access to the back yard and deck; plenty of large windows that are a perfect place to enjoy the sunrise with your morning coffee, your family meals or just spend your retirement watching the world go by. The master bedroom has 3 pc bath and walk in closet. There are an additional 2 bedrooms on the main floor, 4 pc main bath and main floor laundry room/entry from the double attached garage. The full finished basement has rec room, 3 large bedrooms, 3 pc bath, tons of storage space, & mechanical. The front of the home has double drive, some decorative rock and grass and the back yard is fenced with grassed area both are designed for minimal care. This solid home is waiting for you to make it your own. 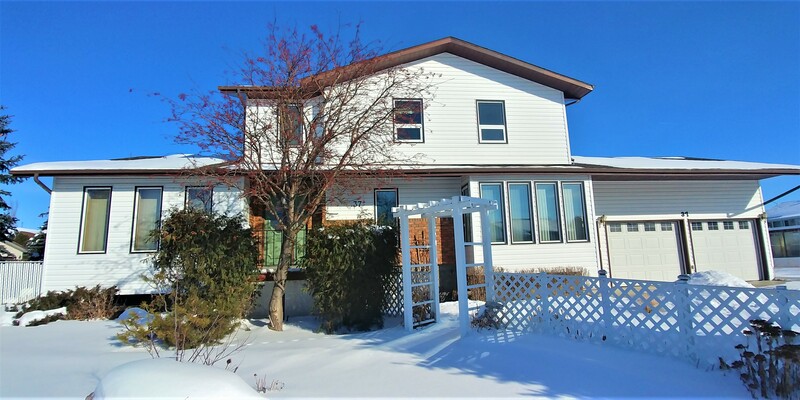 For more information or to arrange your personal viewing of this or any other listed home in Maple Creek please contact the listing Realtor ® or Brokerage. Take a look at this solid family home located in a quiet crescent in Maple Creek and central to the Cypress Hills Destination Area. Enter the home through the part covered deck into the front foyer. To the right there is a large family room and to the left the formal living room. The eat in kitchen has ample cabinets and counter top including movable island, pantry and a good size space for your table. The kitchen has also recently received updated vinyl plank flooring. The formal dining room is adjacent to the kitchen for those special occasions and is also adjacent to the sunken living room. There is a large laundry room with plenty of storage and room for freezers. There is a 2 pc bath beside the entry from the double attached garage. The 2nd floor has a large master bedroom with 3 pc ensuite and walk in closet. There are 2 additional bedrooms, nook office space and 4 pc bath to complete the 2nd level. The majority of the home has good updated vinyl windows. The basement is partly finished with a work space with cabinets and sink, storage and furnace/utility space. Easily finished to include a bedroom and rec room. There are 2 furnaces (1 handles the central air to the 2nd floor) both were replaced 2010 as was the hot water. The home has a good wood foundation and wood floor making future development easy. There is a sump pump, weeping tile back water valve. The exterior has vinyl siding and good shingles. The yard has some xeroscape with perennials and room for annuals, mature trees and shrubs as well as a large garden space which could easily be turned into lawn. To arrange a personal viewing or for further information on this home or any other listed home please contact the listing brokerage or agent. 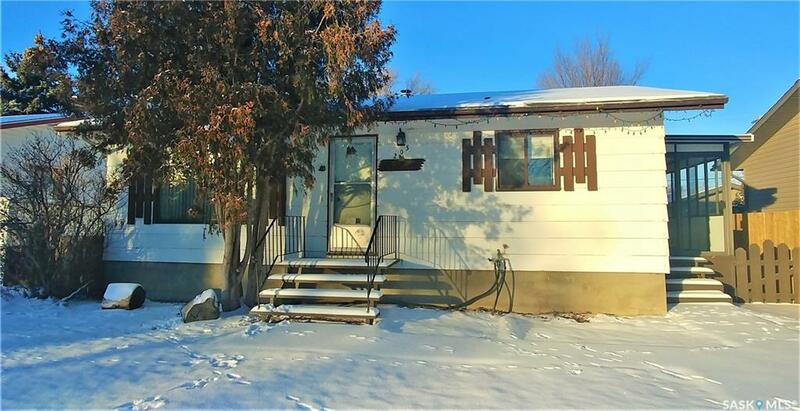 #36 Harrigan Cres, Maple Creek, SK- SOLD! If youre looking for in town living with a view of the country #36 Harrigan Crescent is for you! Located on a quiet crescent on the west side of Maple Creek, this home has large kitchen with move-able Island, pantry with pull-out drawers, and a desk station. The dining room has large built in cabinets and patio doors that open to the large side deck that has both sun rise and sunset views. The living room is open to the kitchen and features large window for great natural light. The master bedroom has 3 pce ensuite with in-floor heated tile, as well as a private deck facing west for you to enjoy the sunset looking out to the field behind the home. The main bath has large soaker tub with jets. There is main floor laundry that has access to the over-sized raised storage room. There is a second good sized bedroom completing the main floor. Lower level has large rec room featuring a wood fireplace with stone face. The office has a built in desk with plenty of cupboard storage. There is 2 good sized bedrooms, both with large closets and built in storage systems. The lower level bathroom has double vanity, soaker tub, and closet. There is a double attached front drive garage. The backyard has plenty of perennial shrubs, garden area, storage shed, and unique wood walkway. For more information or to schedule a viewing of this home or any others in Maple Creek please contact the listing Brokerage. Welcome to #509 Belanger Drive, located in a quiet area in the beautiful Cypress Hills Provincial Park, SK. This year round, 3 bedroom cottage features large open concept living area with vaulted cedar ceilings. The main floor has large kitchen with plenty of cabinet space, pantry, and raised bar seating. The dining room looks out to the front 28X12 deck, with large windows spanning the full width of the home. The living room is very spacious and features a wood stove and sky light. The master bedroom is located on the main floor complete with its own private patio. 4 piece bath has plenty of storage and is located next to the laundry/porch. Utility room contains N/G forced air furnace, 2- 300 Gallon water tanks, Water pumps and extra storage. The back yard is complete with 2 storage sheds- 1 being a 3 level play house perfect for the kids to play! Dont miss your opportunity to own this unique cottage. For more information or to schedule your personal viewing of this home please contact the listing Brokerage. 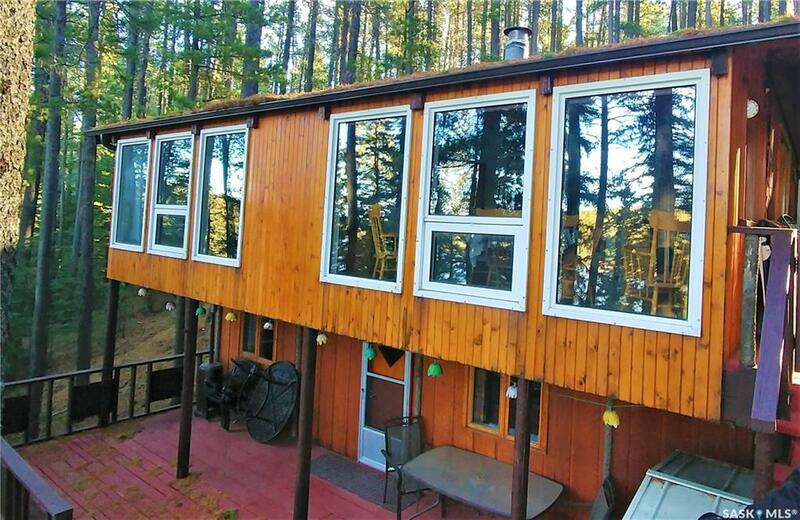 You do not want to miss out on this Lake Front cabin located in Cypress Hills Provincial Park. This cottage features a large open living area with vaulted pine ceiling. Kitchen has stainless steel appliance package with plenty of cupboard space. Dining room and living room both boast a beautiful view of the lake from the large windows. There are 2 good sized bedrooms on the main level as well as 3 piece bath. The lower level is complete with a 3rd bedroom, rec area, and a 2 piece bath. Both levels walkout to the extensive deck system, with the lower deck being partially covered. Included in the purchase are all furnishings, hot tub, 8X12 shed, 1000 gallon water tank, as well as a 1000 gallon septic tank. For more information or to schedule a viewing please contact the listing brokerage.